All About Paleo Diets: What Makes The Paleo Diet Popular? The Paleo Diet is the most talked about healthy living diet plan in recent times. How did it become the most Google searched diet plan of 2013? It is amazing to see that there are more than 5000 e-Books about Paleo diet recipes and lifestyle on Amazon. The world has seen many diet types: there are vegetarians, vegans, lactose free diets, meat free diets. What makes Paleo stand out? Thousands of years ago, our ancestors lived on food that they hunted, fished, or gathered from their surroundings. They did not plan their meals nor did they eat three or four times a day. They ate what were readily available and within their reach. Agriculture or cultivating food happened about 10,000 years ago. It is rather a quite recent phenomenon. Hunting for food was the only job our ancestors needed to do. 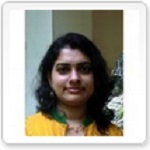 They ate raw, salt less, uncooked food mainly meat, fish, fruits and vegetables from plants. Moreover, no food grains. Mind that cultivation never happened then. The food habits of our ancestors, the cave dwellers, are what many people worldwide choose to follow now in the form of a new diet fad called The Paleo Diet. A very common saying to outline the diet is 'If it doesn't fly, swim, walk or isn't green, then don't eat it. 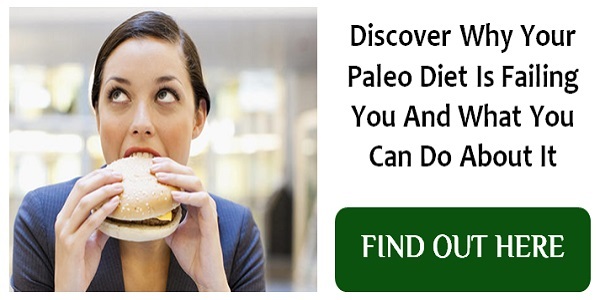 The Paleo diet followers have decided to go the Paleolithic way to lead a long and healthier life. It is also known as the Caveman's diet, Hunter-Gatherer diet, Stone Age diet or the Primal Blueprint Diet. The whole point of going the Paleo way is not to exactly follow our ancestors, and this is what makes it so popular. Modern man has come a long way, and several tweaks have been made to make the diet more adaptable and acceptable. The advocates of this diet strongly believe that it is modern lifestyle and eating habits that cause obesity, heart diseases diabetes, infertility, Alzheimer's, Parkinson's and even depression. Losing weight is a factor that attracts people to Paleo diets. Paleo followers eat wholesome, nutrient rich food. They avoid mostly everything to do with packed and processed food, grains, salt, and dairy. The main idea is to eat food that is seasonal and fresh. Yes! This means that all the toxic food that affects or harms your digestive and immune system are avoided. Therefore, out goes all the processed and carbohydrate rich food, and in go animal proteins and plants. Paleo advocates believe that we can sustain on this, along with few supplements if need arises. Going Paleo means you are naturally going to avoid foods that trigger allergens. Many people are sensitive to gluten, dairy, soy, corn, refined sugar etc. In a Paleo diet, you steer clear of food containing all these, thereby suppressing your allergens. The great thing about this diet is it allows you to stop fussing over your calories. You can stop counting your calories. You don't have to take meals four times a day, and have to eat food only when you are hungry. Food is treated simply as a fuel to get going. There are a number of Must haves and Have not's when it comes to following a Paleo Diet. The Paleo diet fully supports meat, fish and eggs along with plant produce as the source of nutrients. Lean meat is in, and so are skin, bones, liver, and almost all parts of the animal. Vegetarians or Vegans please excuse. Did I mention salt less? Yes, the diet is sodium free. You will have to go salt free or with minimum salt possible. The diet does not include any beverages other than our plain pure water, as pure drinking water was the only choice our ancestors had. It is better to have wholesome fruits, or maybe you can have freshly squeezed fruit juices minus the added sugar. You can include anything and everything with coconuts: Coconut water, oil, butter, vinegar, amino, sugar and even nectar. Along with food, you will have to make several lifestyle changes as well. Try to get a good amount of exposure to sunlight or if that option is not available take adequate vitamin D.
You would need to be active, with frequent natural exercises like walking, running, swimming, lifting, picking, carrying, jumping or even crawling. Have closer contacts with children and family. Live in contact with nature. Engage yourself in activities like gardening or hiking in the woods. Care must be taken to keep external stressors at bay. Learn to live simply. Relax your mind and body. You need to go to bed when it is dark, and sleep for at least eight hours a day. To conclude, it has not yet been proved that Paleo works. Of course, there might be several benefits from following this diet, but studies are yet to come up with concrete results. There have been some studies done that came up with positive results, but the sample size were too small to have it accepted. Critics argue that the Paleo diet is not for everyone. The type of food that has to be consumed is expensive. The labels organic, grass-fed, meat, fish, eggs, nuts, vegetables are all associated with greater cost, and that you will not get all the right nutrients just by following Paleo diet. Nevertheless, Paleo is just getting more and more popular, and no amount of criticism is pulling it down. Celebrities and chefs around the blog are endorsing it, and the numbers of followers are growing day by day. All Rights Reserved. 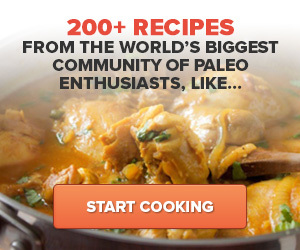 All About Paleo Diets Blog. Picture Window theme. Powered by Blogger.